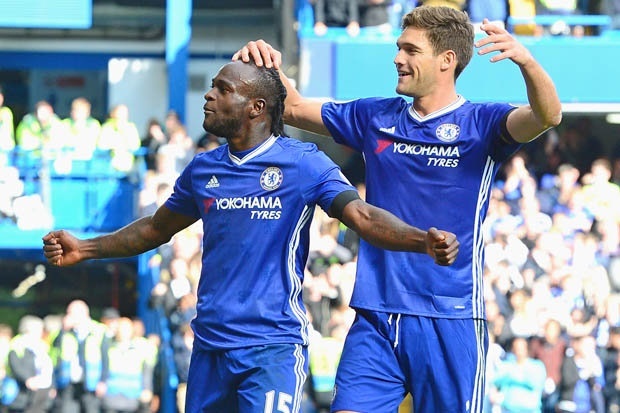 The importance of Victor Moses to the Chelsea set-up was again made evident on Saturday as the Nigerian star dazzled for the Blues in their comeback 3-1 win over Newcastle United. Moses who was only making his return to the Chelsea starting line for the first time since October 14 provided an assist and also earned the Blues a penalty as they blew about Rafa Benitez's men at Stamford Bridge. Moses then supplied a wonderful cross for Alvaro Morata and the Spaniard expertly headed in to put Chelsea in front in the 33rd minute and until halftime. In the second half, the contest was evenly poised, and it was looking like there will be no additional goals but that was not the case as Hazard completed his brace; scoring a 74th minute penalty for the Blues after Moses was brought down. With this win, Chelsea have momentarily moved level on points with second-place Manchester United.